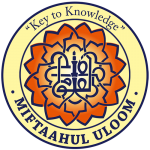 Miftaahul Uloom Academy – Committed to providing a quality education in a safe, and nurturing Islamic Environment. 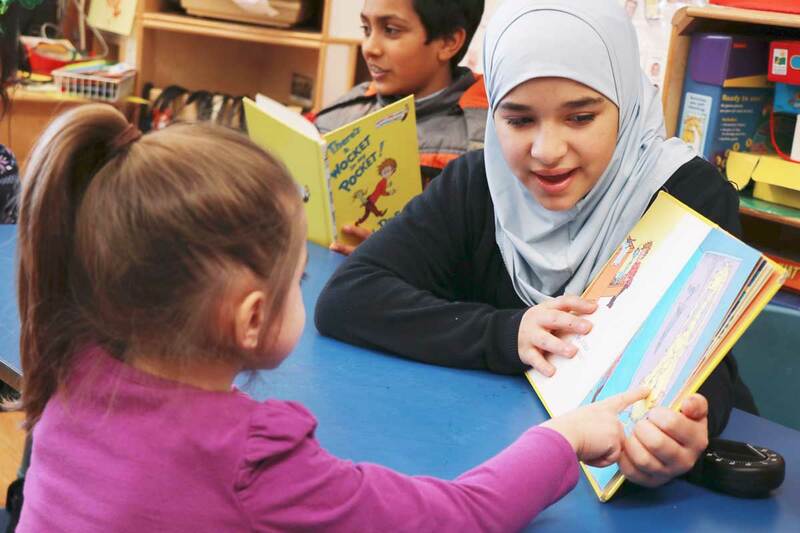 Committed to providing a quality education to ages 2.5 – 18 in a safe, and nurturing Islamic Environment. MUA is a registered 501 (c) (3) that was founded in 1996. 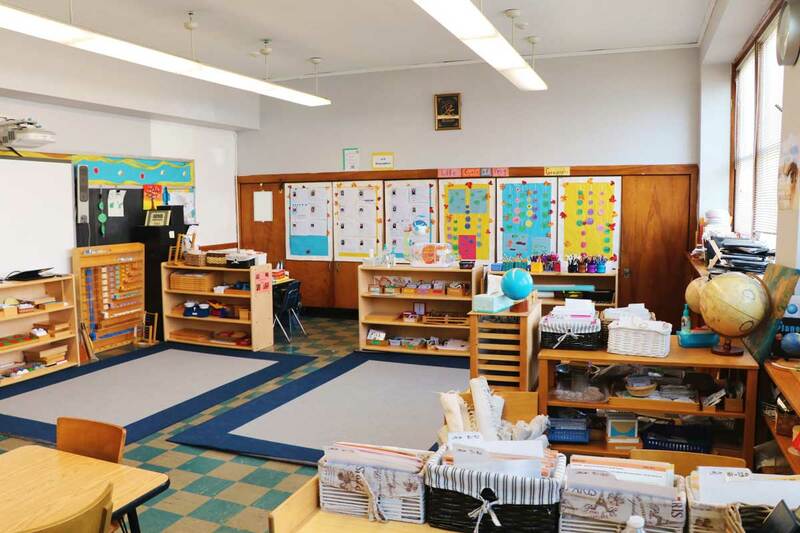 We offer a Toddler, Lower Elementary and Upper Elementary Montessori program, and a rigorous curriculum with differentiated learning opportunities in small classrooms. 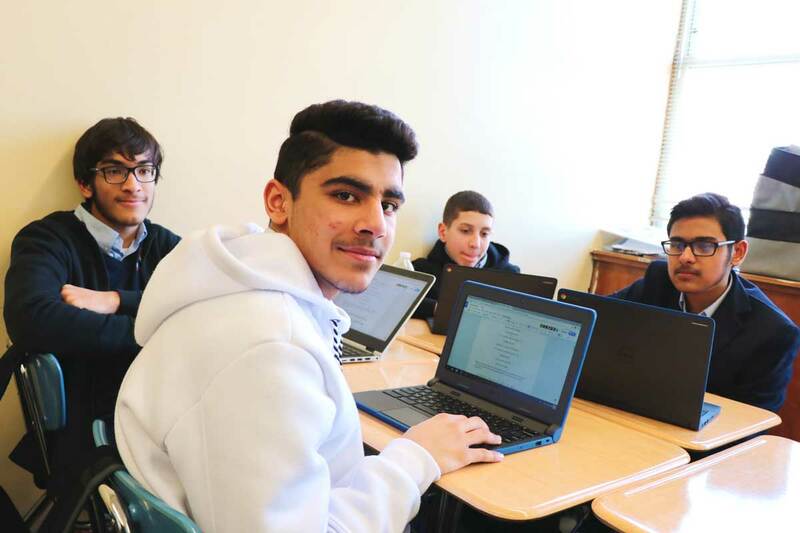 Our students graduate 12th grade with college credits and a resume filled with service opportunities and internships. 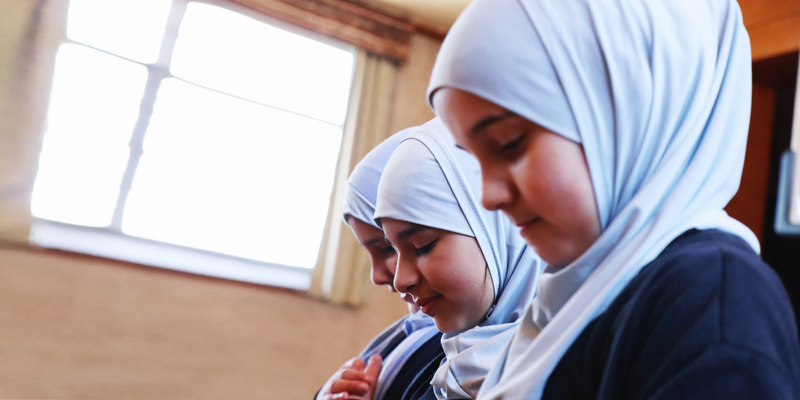 We strive to provide our students with every amenity offered to students in public schools with the added benefit of Quran, Arabic, Islamic Studies and an environment that surrounds them with Muslim role models. Visit us and see all that MUA has to offer to you and your family. Contact us to schedule a tour today. Learn more about our Parent Association, volunteer opportunies and becoming a MUA Ambassador. 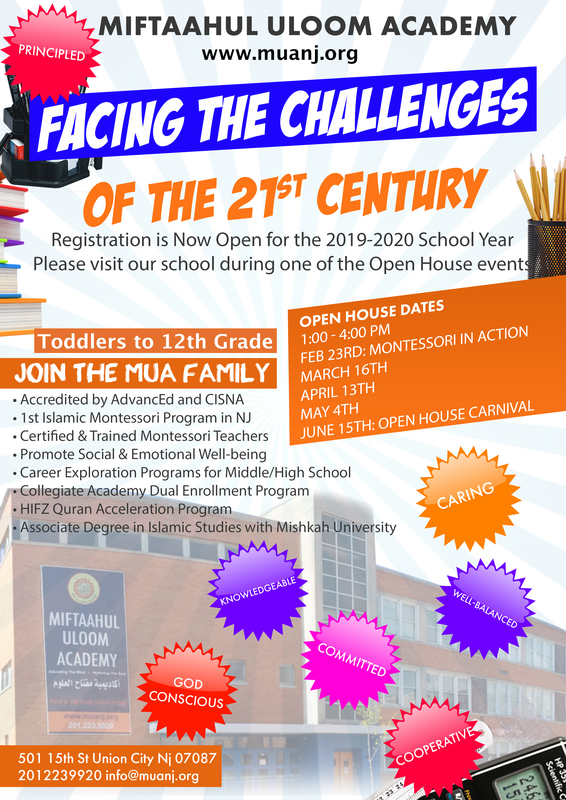 Learn more information about attending the Miftaahul Uloom Academy! We are a registered 501 (c) 3 non-profit institution making your donation tax deductible. Khadeejah YanesClass of 2011, Civil Engineer, President of the Rutgers Society for Women Engineers. Rabeea ChaudhriClass of 2013. Masters in Public Administration. 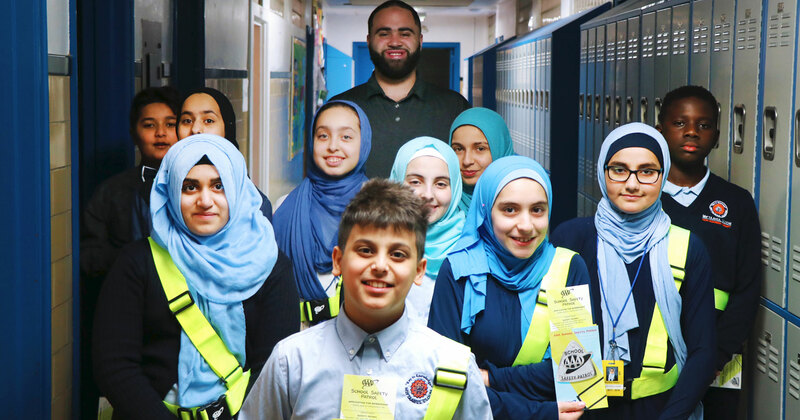 Miftaahul Uloom Academy admits students of any race, color, national and ethnic origin to all the rights, privileges, programs, and activities generally accorded or made available to students at the school. It does not discriminate on the basis of race, color, national and ethnic origin in administration of its educational policies, admissions policies, scholarship and loan programs, and athletic and other school-administered programs.